About how I came to translate Aranyak—I grew up in different parts of the Indian subcontinent. I had Hindi as my formal school subject and learnt Asomiya and other assorted languages (including Russian), depending on where my father’s job took us and the literature I happened to lay my hands on. At home I was enveloped in but not circumscribed by Bangla. I read Bangla literature voraciously and rather randomly all through my childhood. When I moved to Calcutta for my graduate studies, Bibhutibhushan Bandyopadhyay’s Aranyak was on my hit list of ‘must read’ Bengali classics. But it was really after my return from Taiwan in the late 1980s that I engaged with Bangla literature with a different degree of intensity. It was a need, a hunger. I spent roughly a year in Taiwan studying Chinese as part of the Stanford University Inter-University Program at Taipei. Most of my friends were Chinese and I was also teaching English to young and old Chinese students, businessmen, and factory workers. As a result, English was still part of my everyday existence, but for the first time in the thirty years of my life, I was completely severed from the many Indian languages I had grown up with. The more I fell in love with Mandarin, the more another part of me became ‘language sick’ or ‘language lorn.’ It was home sickness of a kind I had not experienced during my earlier sojourn in the US as a doctoral student. I began translating some classical Chinese poetry into Bangla…all very personal, I’ve never published any of it. On my return to India, this hunger for Bangla intensified. I went through much of Bibhutibhushan’s oeuvre at that time, but Aranyak caught me unawares. One often tends to be a little wary of designated classics. In my case, I was (and still am) treated as an outsider to Bengal, Bangla and ‘Bengaliness.’ Perhaps it is this liminality that is also central to the novel…the shifting matrix of time, space—of belonging, and yet never quite. I began translating Aranyak even as I was reading it; it was a mode of internalising. Bibhutibhushan has a deceptively simple style, both tender and unsparing. It is hard to render without any artificiality his intimate knowledge of Bengal and all the places that he loved traveling to, physically and in his imagination. I marveled at his illumination of plant life, shorn of pedantry. Later, I consulted botanists on how best I could ‘translate’ leaves, creepers, flowers, and trees, many of which I had never really seen, or may have seen but never observed, but that lay at the core of his protagonist’s sensibility. I had no thoughts of publication initially. I lived with the manuscript for many years. Meanwhile, I had translated the nineteenth-century stage actress Binodini Dasi’s memoirs into English, also initially a labour of love. Anuradha Roy was very supportive of my translation and was keen on publishing Aranyak. When I met the author’s son, Taradas Bandyopadhyay, to seek his permission, he expressed his preference for a Calcutta-based publisher. I had been writing on performance for the Seagull Theatre Quarterly since the mid-1990s and Naveen Kishore from Seagull was excited about bringing out Aranyak. And so Aranyak: Of the forest came out in 2002. After Aranyak, I was asked to do a translation of an abridged version of the work that Bibhutibhushan is best known for, Pather Panchali (The Song of the Road). This was altogether a different experience: the abridged novel Aam Anthir Bhenpu (Making a Mango Whistle) emerges through the children’s subjectivity, with two deaths—of the distant aunt and beloved sister Durga—framing the text and intrinsic to the boy protagonist’s subjecitivity. Children love the book. More recently, I was asked to translate the last of Bibhutibhushan’s novels, Ichhamati, which is set in an indigo plantation in nineteenth-century Bengal. This is forthcoming as The Restless Waters of the Ichhamati. Aranyak has been pivotal to each of these translations. I have also taught it in a couple of graduate and post-graduate courses that I have offered here and abroad (one is called ‘The Jungle and the Book!’) and I have been struck by the way a range of readers react to it. Besides scholars from very different disciplines, there are photographers and journalists, people I do not know, who have written to me about how they have been moved by it. If one were to link the novels to Bibhutibhushan’s travel diaries (yet to be translated), one would discover in both his gift of imbuing with wonder the mundane, including the oppressive and baneful in the mundane. There is little that is satirical, nothing that one might see as caricature, although the people he portrays easily lend themselves to satire and caricature. For instance, Aranyak is rife with caste wars, overt and implicit. Caste continues to surface hydra-headed in our daily lives. In Aranyak, the narrator’s managerial and brahman status gives him an insight into minute and naturalised caste and gender stratification. This is rarely expressed in ‘nuggets’ but is almost ‘seamlessly’ (a dangerous word) woven into patterns of everyday exchange, seeping into food and water, places of seating or bathing through various modes of segregation. Despite his status, and his perspective, the narrator is a part of this system. Actually, Aranyak in its title also harks back to the early destruction of forests for settlement as in the ‘Khandava-dahan’ episode of the Mahabharata, so evocatively analysed among others by the sociologist Iravati Karve in Yugantar (End of an Era). As a text, Aranyak has the rare quality of evoking multiple lineages and temporalities and, most persistently, our present-future. The narrator of Aranyak is historically unable to probe deeper into this text of complicity, his ‘reading’ of the local and the immediate is mediated by his readings, ‘these memories’ sifted by ‘other’ spaces in far flung places of the globe, bearing the inscriptions of Western trader traveller-explorers’ ‘discovering’ and ‘recording’ other lands, other continents. What historically made him unable to probe deeper into his complicity, and how might we discover him anew in 2018? RB: Returning after all these years to the cryptic/condensed passage you have quoted, I would emphasize the phrase ‘historically unable.’ At one level, this is a sharp judgement on the narrator’s (not author’s) ‘inablity to probe deeper into this text of complicity.’ Satyacharan, whose name literally means ‘one in the service of truth,’ is also an impoverished colonial subject whose university degree does not ensure employment. He is historically located both as a product of the colonial educational system and of a metropolitan milieu in which he is already marginal. The journey to Bihar as an estate manager is a kind of exile, but the sojourn becomes a mode of learning and transformation, of opening himself up to other worlds. Nature is also home to migrant labour, itinerant wanderers, failures and fugitives. Inevitably and ironically, Satyacharan will abandon these worlds after they have been, or will soon be, transformed in unrecognizable ways. With particular reference to the link you make with regard ‘to the role played by Western trader-traveller-explorers in the narrator Satyacharan’s mind,’ there is another level in which we may sense a certain enmeshing of narrator-author positions. Bibhutibhushan himself was an avid reader of travel narratives, history, geography, and astronomy, and his literary imagination was pervaded by the evocations of these readings. At the same time, there are few writers in the world who knew so intimately the local flora and fauna, not only as part of natural history, but of landscape as expressive of highly individuated sensibilities, of social relations, the sheer delight of colour, scent, and taste. Therefore, while there is undeniably a partial identification with these writers whose ‘travelling gaze’ saw with ‘imperial eyes’ (to quote Mary Louise Pratt), there is a counter movement Bibhutibhushan’s writings brought out in the intimate knowledge and sensual experience of the local, the grassroots and the leaves of grass. But even in his diaries, the latter is rendered always at a slight distance. The act of recording-writing perhaps makes it possible for Bibhutibhushan to retain and calibrate both positions. In this position too, he is historically complicit. Far from trivializing the author’s engagement and making it derivative, I wished to draw the reader’s attention to its many layered mediations. The frames in Aranyak make it clear that even an act of recuperation can never be wholly innocent. Aranyak still ‘speaks to us’ if, as twenty-first-century readers, we too are self-consicously drawn into this complicity of the discursive and the agential, of the disjunctions between knowledge and experience. CP: No small part of the novel is a meditation on place. “One may not listen to stories anywhere and everywhere,” the narrator concludes. May one translate anywhere and everywhere? Did you translate the entire novel in Oahu? Could you also expand upon how working in Oahu led you to “recognize Aranyak as a planetary metaphor” as you write in the Translator’s Acknowledgments? RB: I remember a long train journey of two nights and two and a half days I was making from the west (Gujarat) to the east (Bengal) of India, during which I did a draft chapter of Aranyak. I lived with Aranyak for many years, moving into and between languages, genres and places—Delhi, Baroda, Calcutta, and yes, Oahu! As a Visiting Scholar at the University of Hawai’i at Manoa, I was actually working on a book on stage actresses, but found myself returning to Aranyak with a very different perspective that I gleaned from my everyday life on the island. I was staying with a feisty Japanese lady, Aileen Hirakami, whose grandparents had come from Hiroshima to Hawai’i as plantation workers. It was primarily through Aileen that I got interested in the history of these islands in the Pacific, that were literally and otherwise so far away from the USA. Additionally, I was exposed to a dense and rich entanglement of cultures in food and the arts. All of this was quite different from the usual glossy representations, or the ‘live exhibits’ at the Polynesian Cultural Center offered to tourists. My stay in Oahu raised several questions that perhaps most literary people carry within themselves—the fine line between observation and ethnography, the serendipity of encounters, the displacement of inhabitants, the fossilization of the authentic… the vulnerability of the beautiful, the unspoiled, and the impulse to settle, civilize, and move into a plantation economy mode…all of this was still discernible in 2000. I sensed too the ephemeral presence of the human subject even at its most self-conscious vivid moments of engagement. For a native of Bengal this was alien, unexpected… Would any Bengali maiden in her mid-teens behave in this manner with a male who was not related to her? With regard to women, we seem to be always in some kind of a dither, shy and secretive. We are neither capable of thinking of them in an honest open way nor are we able to mix freely with them. As a scholar of gender, how do you interpret this and his other thoughts on women? Could you characterize him as a feminist? RB: Equally unusual is how Satyacharan the narrator is shown interacting with a range of women: lowly peasant women, children, abandoned wives, besides Princess Bhanmati with whom there is more than a suggestion of romance. There is both empathy and discreet frankness, without glossing over the poverty and hardship. 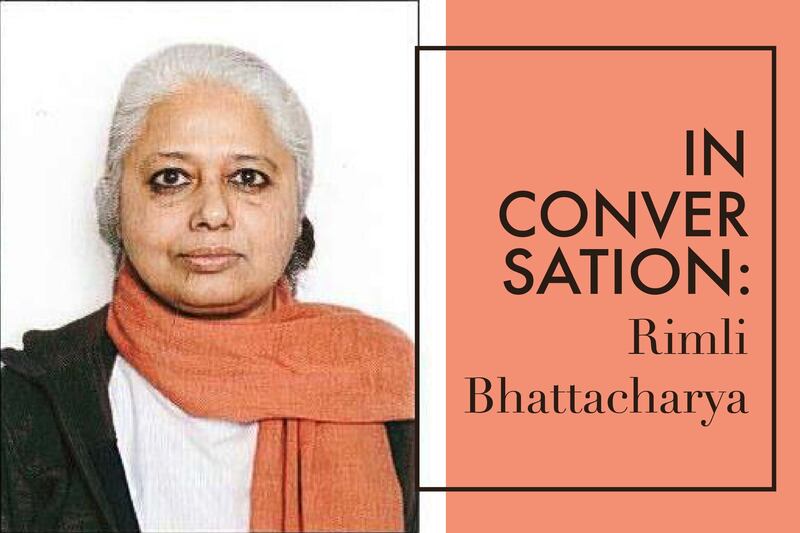 Satyacharan’s comparison of Bhanmati with the Bengali bhadarmahila is also a critique of the social conditioning of the latter, part of the much discussed ‘woman question’ in colonial Bengal. These narratorial interventions stay with the reader, as their subjects haunt the narrator once he has returned to Calcutta, but only in memory and in writing. In Bibhutibhushan Bandyopadhyay’s ouevre as a whole, his treatment of women is extraordinarily sensitive, particularly to the kind of deprivation—material and emotional—that was the lot of many. His diaries chronicle much of the waste and wanting, as well as the fierce struggle to hold one’s head above water. One finds an acute representation of all kinds of desire in his female protagonists, including the craving for food. Rusati Sen, an economist and literary critic, has written very insightfully on this aspect, noting, too, a certain inevitability of the death of the girl child in Pather Panchali. It would be hard to categorize Bibhutibhushan as a feminist in the contemporary sense of the term. There are ambivalences, with a predominant plaintive note. But there is a mindfulness of gender relations that a reader will miss at her own peril. CP: The novel is a profoundly ambivalent meditation on the idea of progress. Satyacharan is a modernizer with the heart of a conservationist. He notes that any other nation would preserve its natural landscape, which is ironic considering the effect of his settlements. Elsewhere he criticizes certain peoples as not having moved on in five thousand years. At the end of the novel he questions whether or not progress leads to happiness. Is this still a vital question in contemporary India? Is this novel remembered as modern or nostalgic? RB: I suppose the question of whether progress (or development, to use a term that seems to be fashionable at the level of state politics) leads to happiness is now being mooted globally. In India’s pre-Independence decades, Gandhi, Tagore, Ambedkar, and Nehru all held strongly diverse (and often evolving views) on this question. In contemporary India, ‘development’ is a key political slogan, but there is now a fairly vibrant debate amongst some groups, political or not, regarding the costs of development and of recognizing those who bear the brunt of the costs. Aranyak raises key questions which are not resolved. I would endorse your comment on the ‘ambivalent meditation’ by the narrator, but that is also because he is both witness and participant. And yes, there is a danger of the novel being read entirely in the nostalgic mode, especially given the romanticisation of the ‘forest travelogue’ in Bengali literature. However, ambivalence also generates a philosophical uneasiness. And to meditate on that uneasiness, may even provoke a new template of bio-diversity that would move beyond the polite euphemisms of sustainable development.